For the first time in a few years I'm going to have a co-reviewer on Beer O'Clock Australia. The plan is that we'll divide the duplicates at soccer soon after they arrive. We'll both drink them individually and record our thoughts, before getting together to share the single beers in the pack (and possibly a few more!). After the success of the first installment, we're progressing with the same format for this second post. Keep your feedback coming as we're still tinkering with it. I was genuinely excited by this lineup. There were four local Victoria beers, of which I'd only previously tried one, alongside 3 American offerings, again of which I'd only previously tried one. You could make a case that there are 7 different styles in this pack, if you consider the passionfruit infused session IPA as a unique style. That very beer, the Passion Fruit Pinner from Oskar Blues, was the beer I was most looking forward to trying! 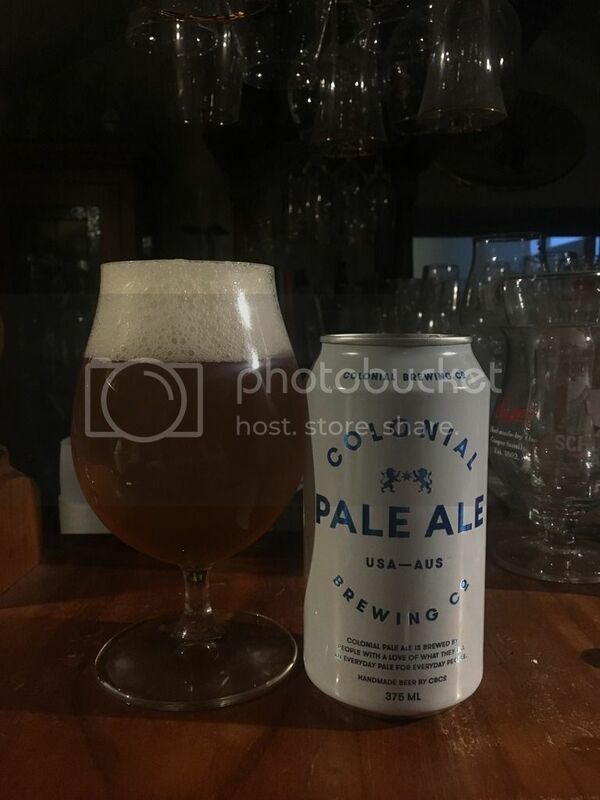 Colonial Brewing Co. is one of the pioneers of craft beer in Western Australia. Last year they opened a second brewery in Port Melbourne, that has seen their range become far more prevalent on the eastern seaboard. This beer is their new Pale Ale, which aims to blend the best of American (Tomahawk & Simcoe) and Australian hops(Galaxy & Astra). "There’s something about Colonial. Their beers are generally good but unspectacular, well made but not as exciting as many other local releases...and I always thoroughly enjoy them and want to revisit them. It might be the ring-pull cans (which are amazing! ), the straight up and down interpretations of styles or the simple but effective flavour profiles but their beers always seem to punch above their weight. This is a very straightforward pale as expected: good bitterness at a sessionable ABV, very light body for easy drinking, light pine and citrus notes. 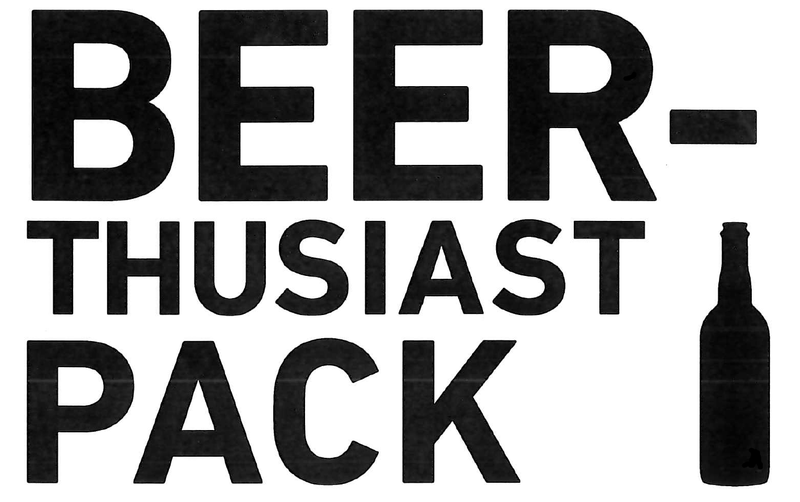 It all comes together nicely and I’ll be drinking more of these when I’m in the mood for a no-nonsense, easy going pale." Bad Shepherd have been going from strength to strength since opening last year. This beer is the first of hopefully many in their "Brew Crew" series. It's an ESB designed by and to be just like Dan, the barman. To quote straight from their website - "Some sweetness (from the malt), a touch fruity (from the yeast esters) but mostly dry and bitter. To be any more like Dan this ESB would need to have tattoos and stay away from social media." 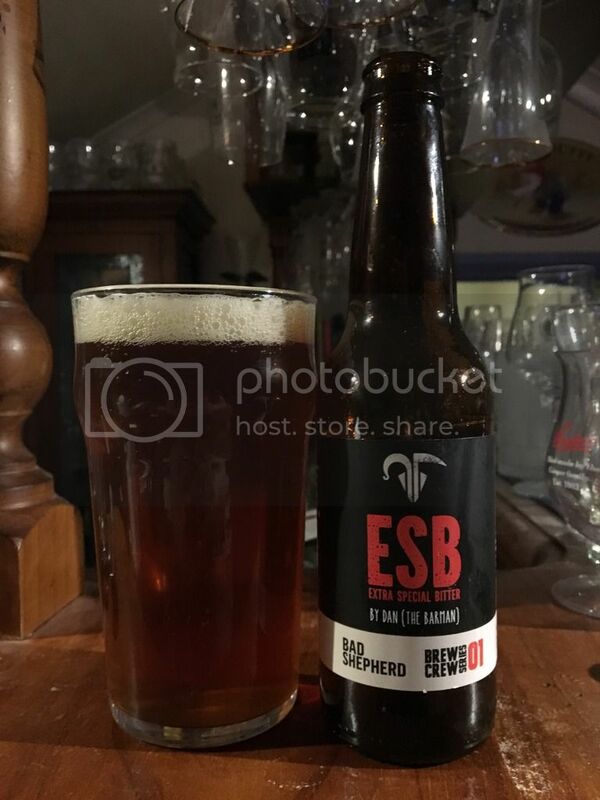 "I’m starting to like ESBs a lot more than I used to. I think as long as the malt is balanced with a certain degree of bitterness it’s a very nice style and this is a good example of that. There’s definitely a lot of malt flavour - a little biscuity and sweet - but there’s this punchy bitterness and underlying earthiness that make it all come together nicely. Looking at this one, the Hargreaves Hill ESB and the 4 Pines ESB I’m starting to think Aussie breweries are getting the hang of the style." Regular readers would know that, much like Dylan, I'm beginning to appreciate ESB's more and more. I tend to agree with his assessment of this beer; plenty of malt with just a hint of fruitiness. The bitterness was more intense than I'm used to for the style, but it definitely worked in this beer. Golden Road is an American brewery based in LA that have been sending beers to our shores for a few years. This Saison came out in the latest shipment and it's the first time I've seen it. From what I understand this beer is a Saison that has been brewed with Key Lime, a strong flavoured lime with high acidity that's native to Florida. "I enjoyed this one, a fun little twist on a good base saison. There’s nice floral/yeast notes with a good dry finish and the lime pairs really naturally. 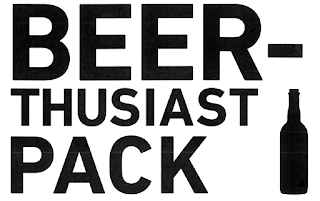 Pithy citrus up front creates a very good lead-in to the more traditional saison flavours on the back end of the beer." 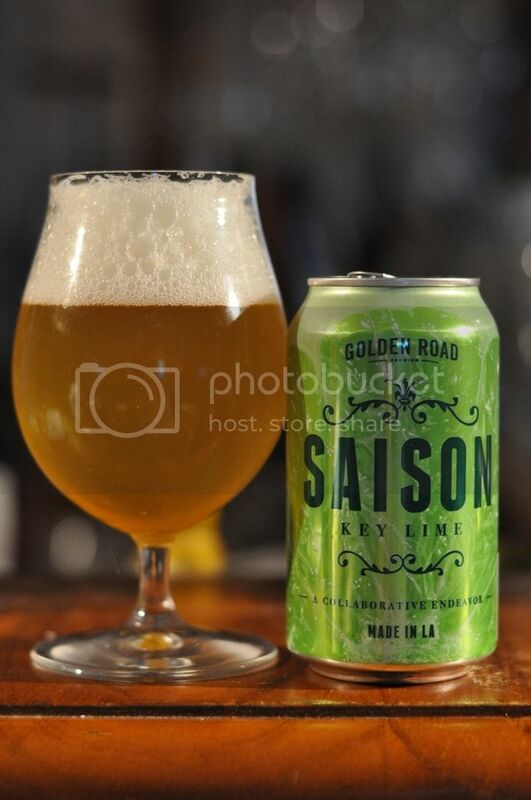 I've previously had the grapefruit Saison from Golden Road (Saison Pamplemousse), which was truly excellent and that I can only assume is from the same series. This one wasn't quite as nice as Pamplemousse, but the hints of tart lime flavour combine really nicely with the base Saison. Apparently they already have one brewed with lemons (Golden Road Saison Citron), which I'll have to keep an eye out for. 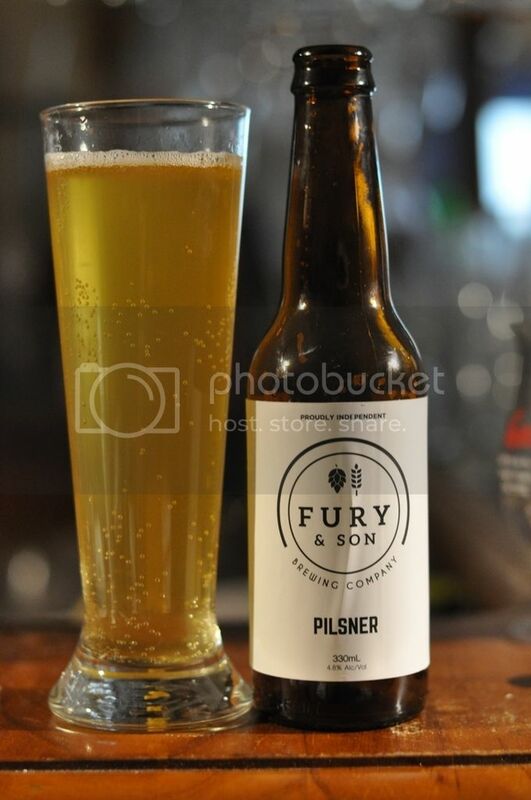 Fury & Son are a Melbourne based brewery who launched in Keilor Park in 2016. I don't actually know a heap about them, although I do find it interesting that they launched with a Pilsner. I'm quite interested to try this beer after the awards it's been picking up recently. 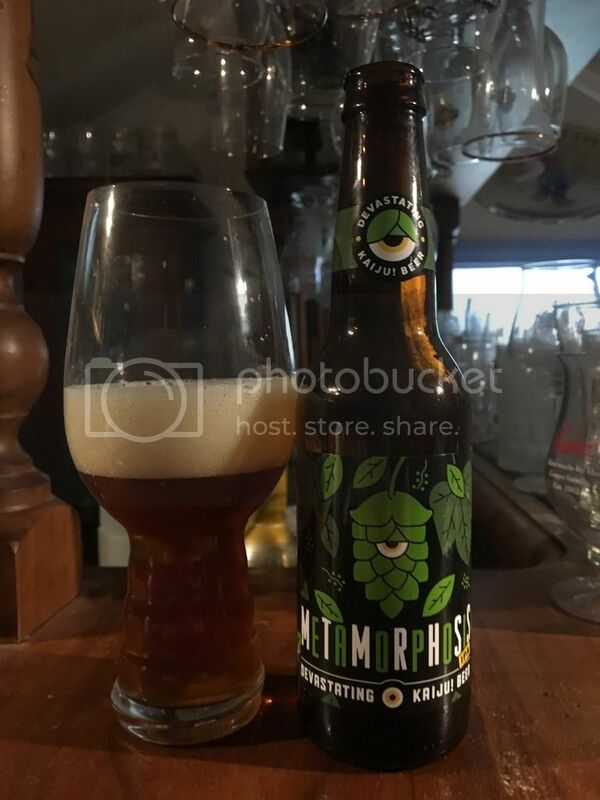 "This beer recently won the 2016 iteration of the Terminus Hotel’s Lager Off against some very stiff competition so I was very keen to try it! I’m a sucker for pilsners but this is still a very enjoyable one regardless — good craftsmanship, nice stonefruit flavour from the ‘new world’ hops, light bite on the finish. I probably like my pilsners with a touch more bitterness overall but this was a really pleasant beer, one I’d be keen to try fresh off tap in future." This beer is the first one where we are going to have a real disagreement. I quite enjoy Pilsner's, yet this one however did very little for me. It was crisp, but was lacking in bitterness and really didn't stand out for me at all for me from a macro Pilsner. I would likewise be keen to try it off tap, maybe the bottle I sampled wasn't a great representation of the beer. I was really excited to see this beer arrive in Australia in can form; I was even more excited to find it in the Carwyn Beer-Thusiast Pack that arrived at my door. Having sampled this when it was fresh in the country last June, I can't imagine how good this will taste fresh and canned! 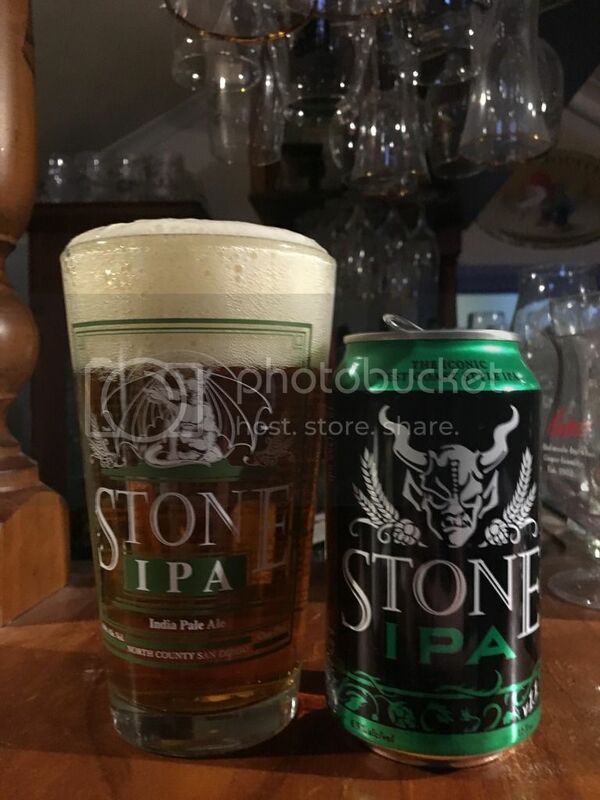 "I’ve been drinking a lot of Stone’s Go To IPA recently so I was excited to give this one a whirl. The hop profile is a little different (way bigger but not as wide on the flavour spectrum) and it’s obviously got the amount of hops turned way up. It’s easy to see why it’s such a well known and loved IPA — it’s packed to the rafters with hops but is still well balanced and surprisingly easy to drink at the IBU/ABV level it has." As far as I'm aware; Oskar Blues were the first craft brewery to embrace the can, way back in 2002! Since then these guys have expanded from their original Colorado brewpub and now have three breweries throughout the U.S.. This is the beer I was most looking forward to in this pack; they're a brewery noted for their excellent use of hops and this seems right up their alley. "I was very excited for this one! Great passionfruit on the nose, nice bitterness...but it just doesn’t work. It seems like a natural combination but the way this beer is made seems to let the flavours exist on two different planes - the fruit and the IPA don’t mesh at all. You’ve got some tart fruit up front which is almost immediately overtaken by bitterness that isn’t supported by the body. 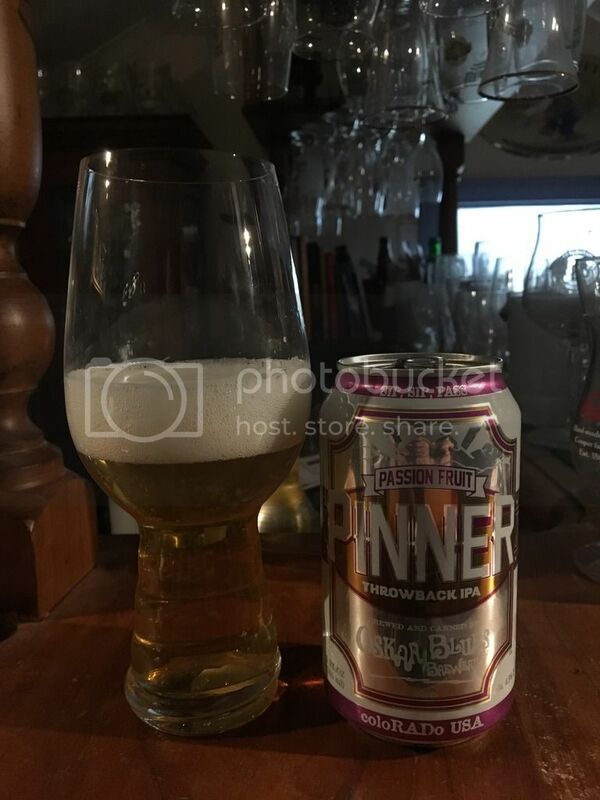 Certainly not a terrible beer (some individual elements are quite nice and it’s interesting to drink) and I love the idea, but the execution leaves a fair bit to be desired — especially when it’s delivered by a brewery with the pedigree of Oskar Blues." I couldn't believe this beer didn't work! The body was too thin, the bitterness was harsh and the passionfruit wasn't that passionfruity... It's certainly not an awful beer, it's beer destroyed for me by the hype surrounding it. 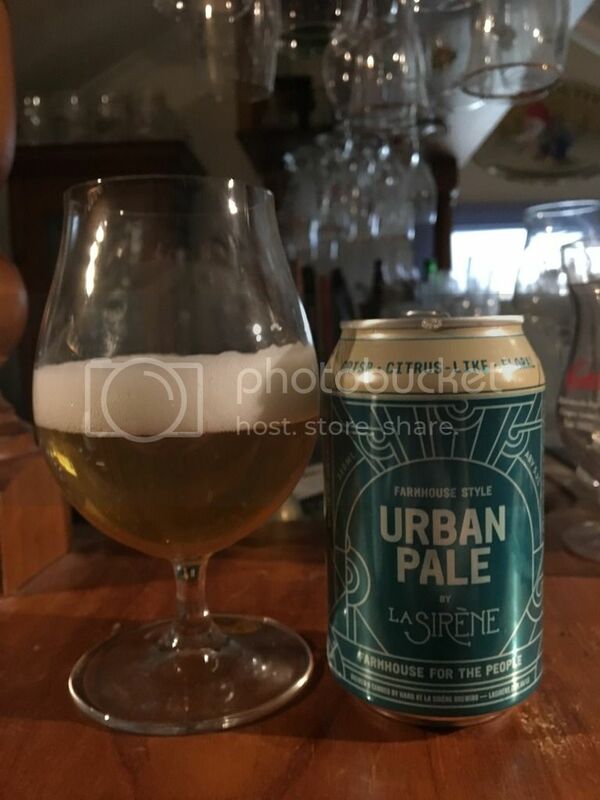 La Sirene surprised the craft beer community when they announced this beer at the end of October. Since then I've had quite a few of these and I like it more and more with each can that I try. It's a beer that I struggle to fit into a style, with the nose giving the tropical and citrus notes of a Pale Ale, whilst the flavour finishes with this distinct peppery Saison yeast. Either way it's a superb beer and one that I will keep drinking as long as they keep making it! "La Sirene bringing out a warm weather can release was one of my bigger surprises of 2016 in Australian beer. They’re an excellent brewery and saisons are a fantastic summer choice; that said they’re definitely in the ‘boutique’ category, carving out their own lane mostly involving sharing sized bottles. It seems like a natural decision upon tasting the beer though — it’s a cracker! If I had to categorise it I’d call it a gateway saison, there’s some mild funk and a lovely dry finish with light hop character and good carbonation. Super easy to drink and bloody well made. Achieves exactly what it sets out to do. Great can design too!" I was pleasantly surprised to see the return of the bonus beer in our second pack, I thought it was a one time deal! Anyway, this was a bottle of the very fresh new batch of Kaiju's Metamorphosis. It's an IPA that I sample roughly once a year, and I always enjoy the maltiness that it offers to balance out it's aggressive hopping. "Kaiju’s deft hand with hops is well known but it really comes to the fore when you compare this beer with efforts like their Robohop IPA. Whereas that one leaned more towards citrus and passionfruit, this is definitely more in the malt heavy, floral bitterness category. It was actually far roastier in terms of the malts than I’d expected - it was a real point of difference compared to many other Aussie IPAs - but that wasn’t to its detriment. Excellently balanced. I’d be intrigued to know if this batch had different malt flavours to previous iterations, this was my first time having it!" Despite the let down of the Oskar Blues Passion Fruit Pinner I really enjoyed this pack. Just like last time I was really pleased getting to try some beers that I otherwise probably would've bypassed. The December pack has already been consumed by both Dylan and myself so with any luck that post will be up in the coming weeks, but realistically by the end of January. Keep the feedback coming in on this segment guys!